On my way home from the Christmas show I ordered two of Sagan’s books from Amazon, and read them very rapidly. 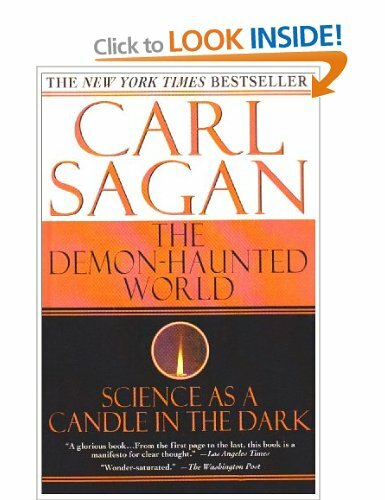 Thus my first rational thinking book of the year was actually published over a decade ago and is Sagan’s ‘The Demon-Haunted World: Science as a candle in the dark‘. It is one of the most beautifully written explanations of why rational thinking is vital in a modern society that I have ever read. Sagan’s writing style makes the book accessible for most readers, but I’s strongly recommend it to anyone who is attempting to teach rational thinking (or indeed critical thinking), as it will cement the importance of the work they are doing. I will do 🙂 Thank you!